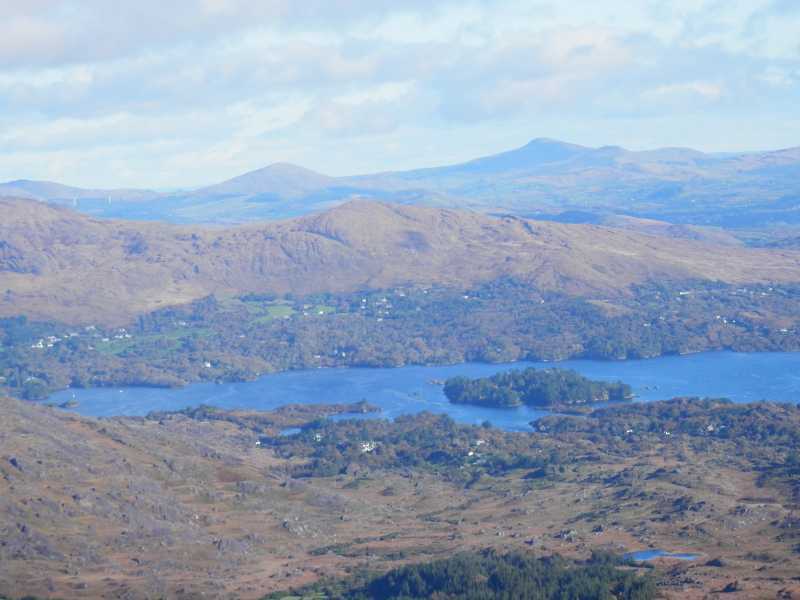 Claude Wall [Mountaineering in Ireland] said of this mountain: ‘Slieve na Goill (1,887), “the misty hill”, popularly known as Sugarloaf Mountain, is an isolated cone a few miles from Glengariff noteworthy as the best viewpoint of Bantry Bay’. I can certainly agree that it has great views over Bantry Bay but “isolated cone”, no not so. 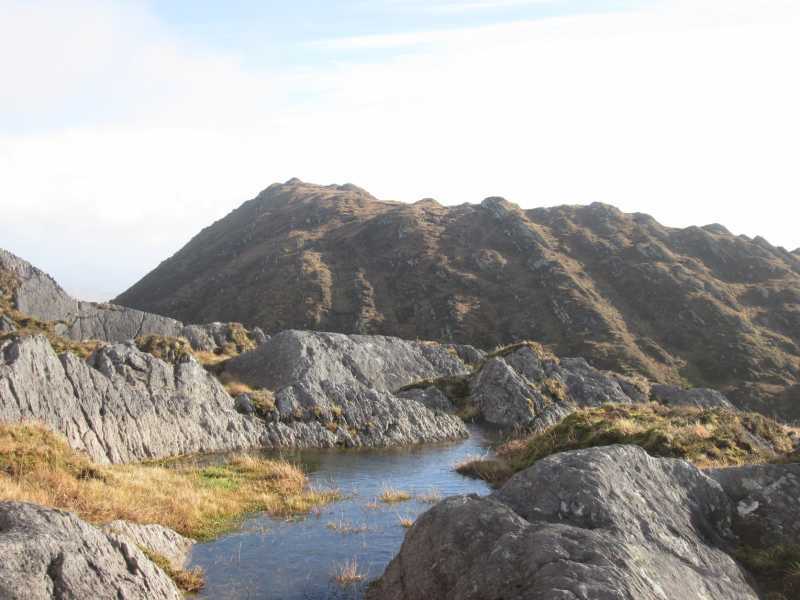 It looks like a cone from the east, such as the Glengarriff area but not from north or south. It isn’t all that isolated either. 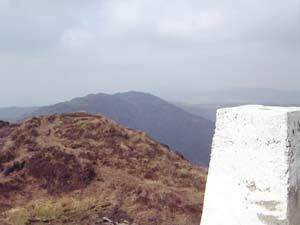 The east top of Toberavanaha is only about 750m away.